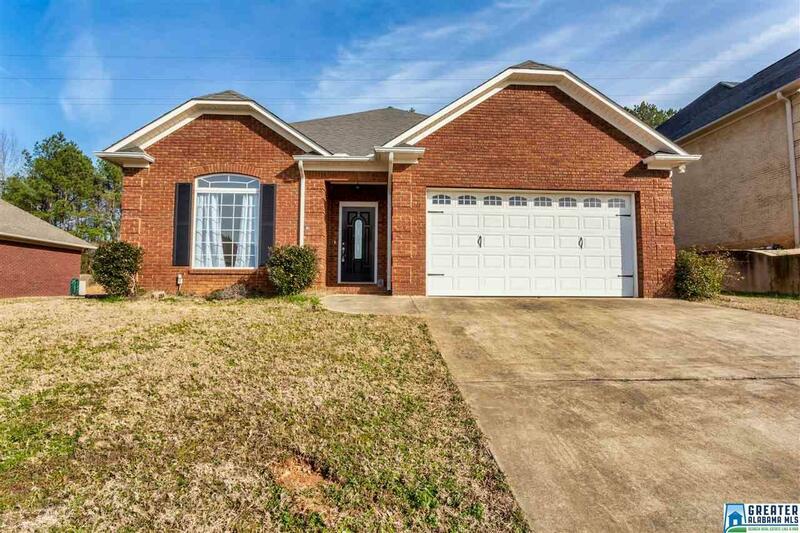 Extremely well-maintained, brick home located in the desirable Rushing Springs community. This 3-bedroom and 2 full bathroom home is washed in sunlight that warms and welcomes you! The formal dining room is separated by architectural columns and soaring ceilings. The open family room is lined with gleaming hardwood floors, vaulted ceilings, crown molding, and an attractive fireplace. An abundance of natural light pours into the breakfast room and kitchen. This kitchen showcases gorgeous cabinetry, some stainless-steel appliances, and plenty of counter tops for food preparation. The private master bedroom features a spacious master bath with a jetted-garden tub, double vanity, and a huge walk-in closet. Outdoor living space is amazing with a private patio. Schedule your private showing today! Driving Directions: From Birmingham, Take I-20 East Towards Atlanta. Take Exit 168 For Al-77 Toward Talladega/Lincoln, Turn Right At Exit Ramp Towards Talladega. In Half A Mile, Turn Right Onto Rushing Springs Rd. Go About 2 Miles, Turn Left On Lakeshore Dr. Take First Left On Garden Ct.